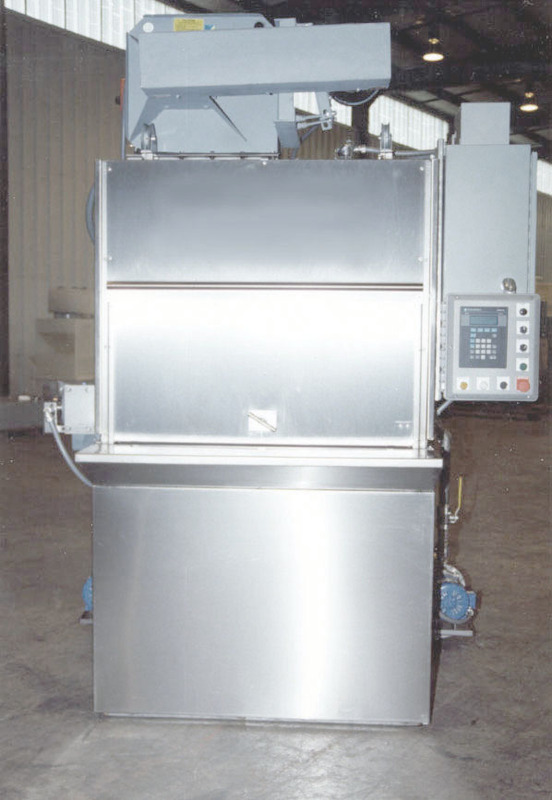 The Aqua-Kleen rotary table type cellular cleaning machine utilizes environmentally safe cleaners to quickly degrease and de-chip machined parts prior to assembly, inspection, or painting. The work is loaded directly onto the rotary table or processed in baskets or on special fixturing where it is automatically washed, rinsed, and dried. Continuous 360o table rotation exposes all surfaces to the high pressure sprays, air jets, and dry cycle. Adjustable clip-on joint spray nozzles are provided to impinge on hard to reach surfaces. 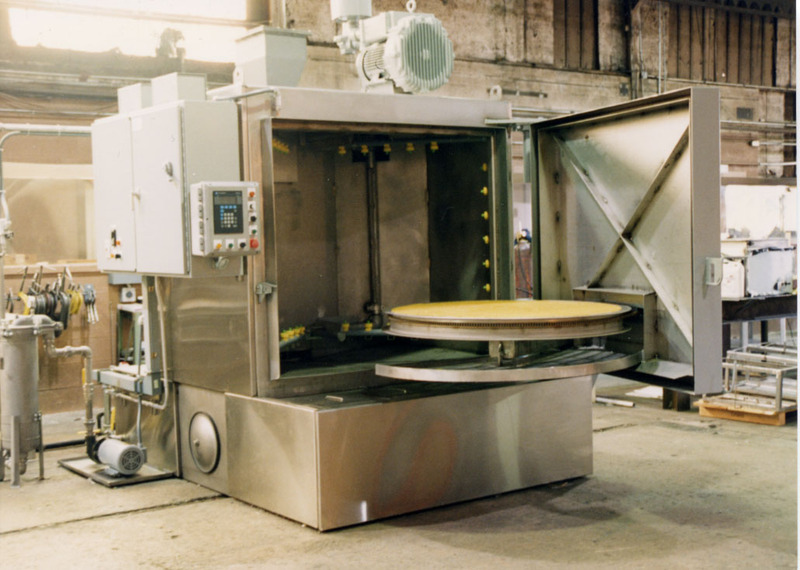 An automatic solution diversion arrangement and process solution reservoirs located under the rotary table allow multi-stage processing in a compact cellular design without solution mixing or cross contamination. Process control is via a programmable controller with digital message display for operating parameters and diagnostic messages. The PLC program provides the user with multiple fully adjustable wash cycles. Optional center spray with pneumatic actuator is available for reaching internal diameters.